In my organization, we do feedback a little differently than typical performance reviews. We have what we call GBOP (Get Better on Purpose) sessions with 5-7 colleagues with whom we work most closely. In these spaces we share feedback in support of each individual’s growth. Leading up to the session there is some preparation with individual self-reflection questions as well as 1:1 feedback conversations with our colleagues. By the time we come to the GBOP, we often have a rich repertoire of feedback to dig into, clarify, and explore together. Carl Jung speaks about the natural human tendency to siphon off parts of ourselves to preserve our identity or avoid pain. We all house within ourselves subconscious warriors that fight fervently to avoid looking at particular patterns or pain, or to meet a particular longing that we’re grasping after. These are our blindspots. 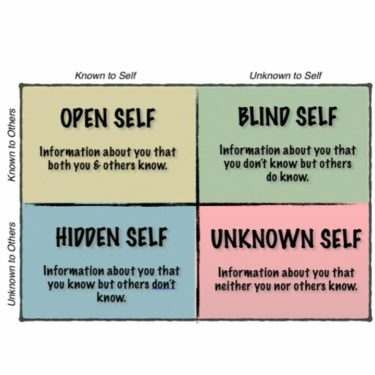 The JoHari Window offers a map for how we think about our inner landscapes. 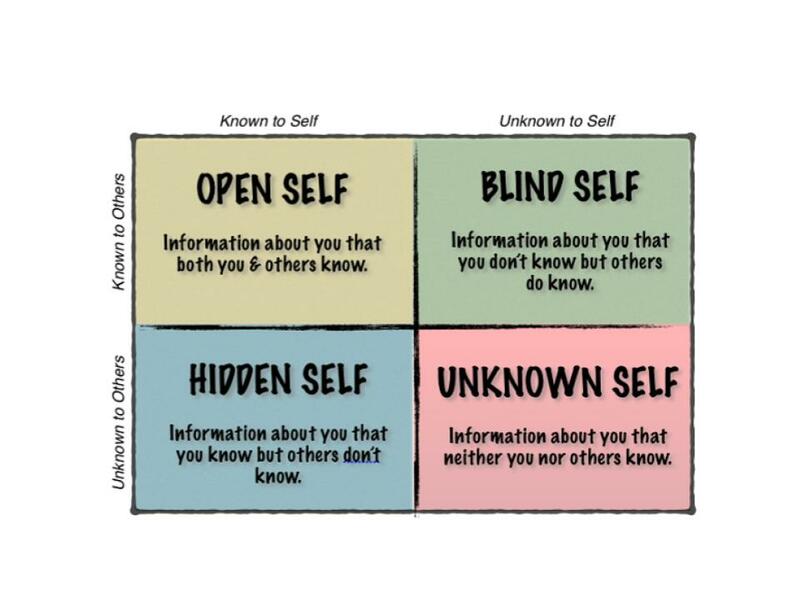 I’ve learned over time that one of my blindspots has been a pattern around suppressing or denying my own personal needs in order to preserve an identity of being unselfish and caring. While there’s nothing wrong with being caring and unselfish, I had to look into why that was so important to my identity, and the cost of ignoring my own personal needs repeatedly. Authentic, personal and to the point. I feel a lot of resonance with your words. Thank you for sharing….